Tata Motors has successfully completed the first phase of the ambitious project and the second stage is underway. Tata Motors hinted at rolling out a car that runs on compressed air at the beginning of this decade. The company had also partnered with Motor Development International (MDI) - a French firm - to work on the project aka Airpod. Also read: Is Tata Elxsi planning to test driverless cars on Bengaluru roads? The company was silent on the project for a long time which led everyone to believe that the project had been scrapped. However, the Mumbai-based auto giant apparently hasn't given up. Emerging reports indicate that a Tata Motors car, powered by compressed air technology, could become a reality in three years of time. Apparently, Tata Motors has successfully (also silently) completed the first phase of the project long back and second stage of detailed development started a few years ago. "We are now at a point where we are starting industrialisation (of the project)," Dr. Tim Leverton, president and head at Advanced and Product Engineering, Tata Motors told Autocar Professional. The air-powered cars are expected to be an answer to environmental degradation and energy shortages. These cars will be lighter than conventional cars as the aluminium construction will keep the weight under 907 kg and make such cars more fuel efficient. Tata's Airpod concept can be driven with a joystick and only costs Rs 70 per 200 km. While the company has not mentioned the speed of Airpod, 56 km per hour is a reasonable guess. However, production spec model will have a far better speed. 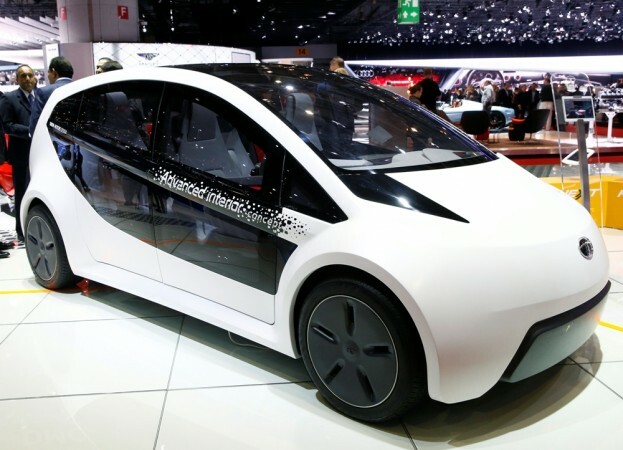 Tata Motors recently started a new brand TAMO to encourage new technologies, business models and partnerships to define future mobility solutions. The Airpod project is expected to get a major reboot under the new brand.